Mittens sent in this Oil & Gas THREAT MAP link. 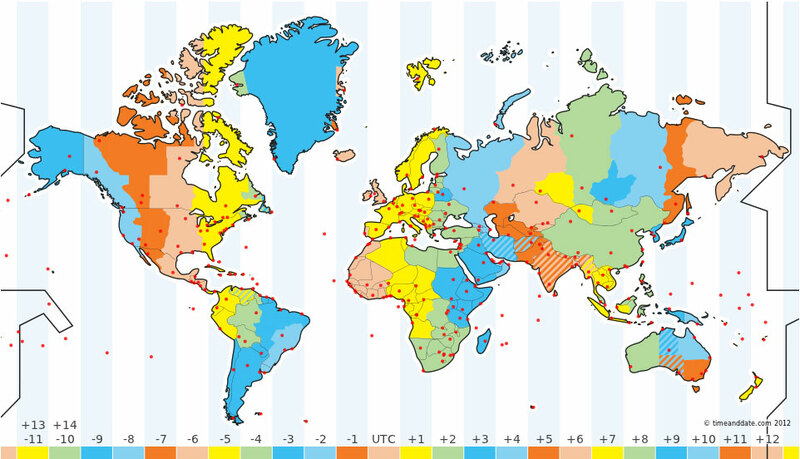 It is now on the MAP page near the bottom. If you think there have been a lot of sinkholes worldwide past few weeks you are right. Huge BOOM at Lake FUBAR After 1 A.M.
As Walter said, “What fell down?”.  Quake Watch’s LA18 chart shows it (at 7:07 A.M. UTC). Same event. NOTE: On the Yellowstone blog, YS watcher, Mary Greeley says the USGS is turning the helicorders there on teeny tiny setting. – F.C. UPDATE: On River Bend NPP in the post about nuke plants and the flooding. 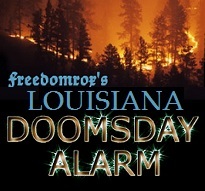 Scroll down to the NEWS post for info on the big plan to open-burn old explosives in Louisiana. 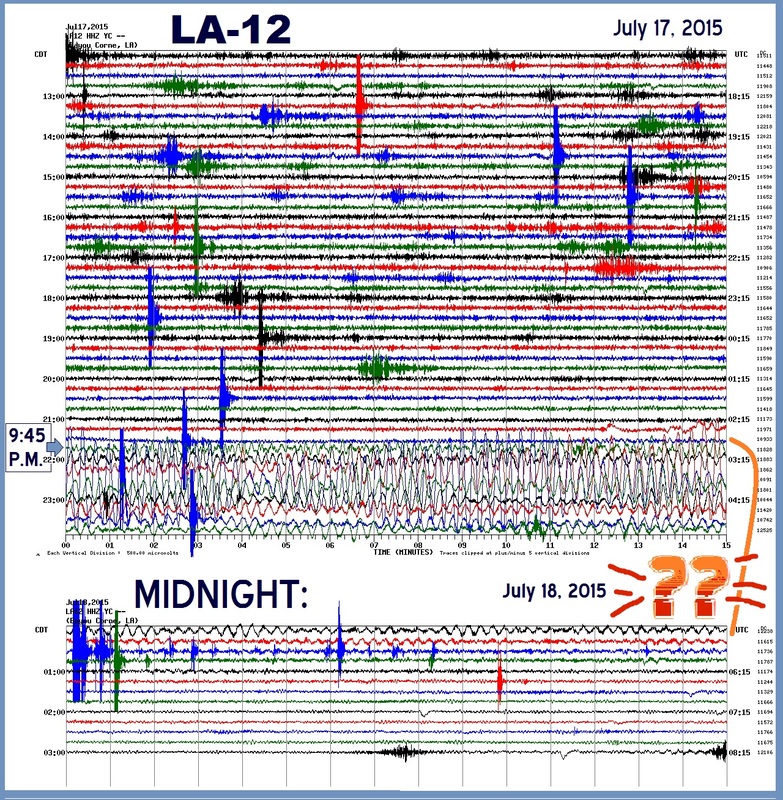 LA-11 shows the 2 big seismic events at 9 a.m. and after 11 a.m this morning. The each lasted over half an hour. 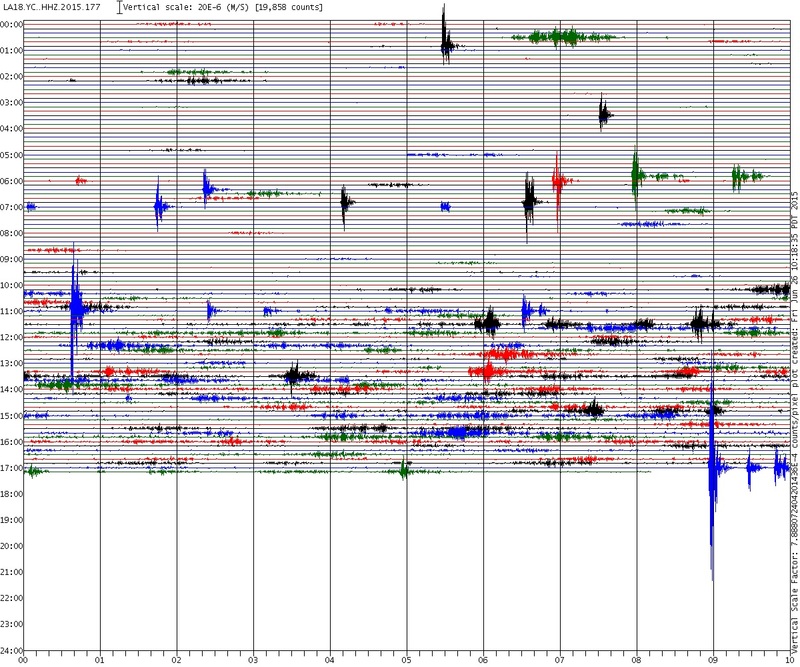 Two 3.7 quakes in Sun City, Kansas – , . At 5:54 p.m. CST there was a big quake off the coast of Chile – 7.9M. 8.3 Report & MAP. 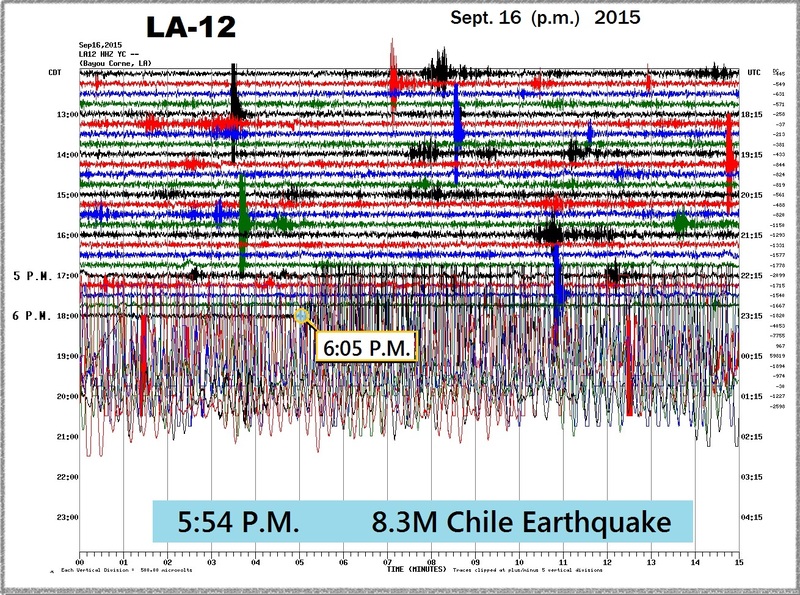 Then the helicorders came back on (sometime after 7:40 p.m. EST) showing bells ringing after this mega-quake in Chile. Is Texas Brine disobeying the state’s Emergency Declaration? NO Crosstex reports since February(!). 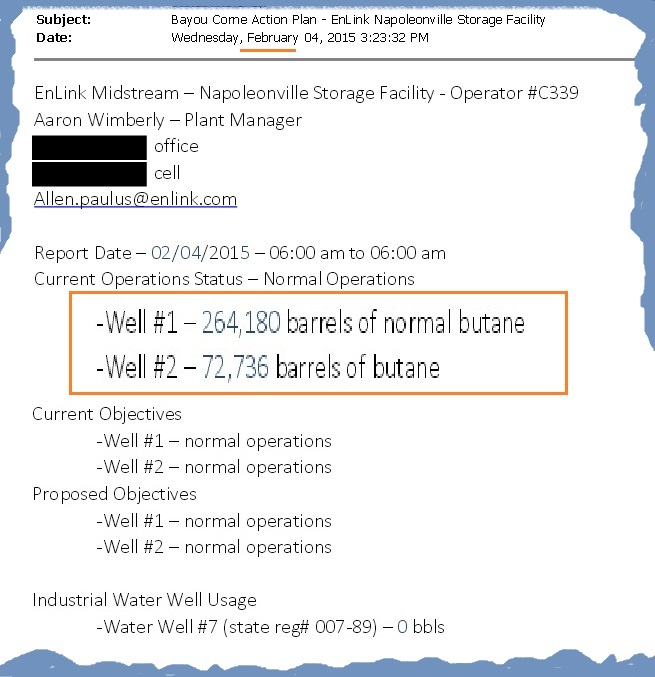 The last report shows over a quarter million barrels of butane stored way too near the unstable sinkhole! Back in the beginning the first Emergency Declaration said Texas Brine’s screw up threatens “sites and facilities under the regulatory authority of the Commissioner of Conservation”. 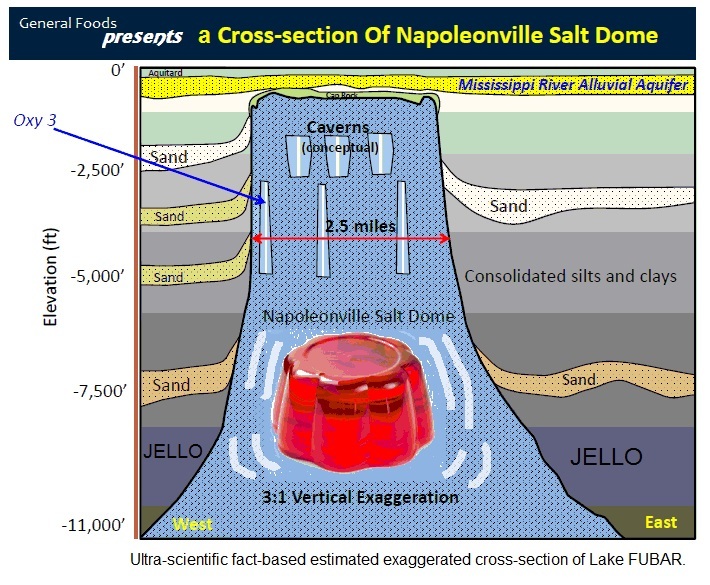 That would include the Crosstex butane caverns. Texas Brine hasn’t given out info to the public since January. 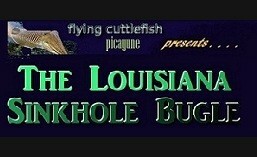 In 2012, on Aug. 3rd, Texas Brine was ordered to quit storing natural gas in their cavern at Napoleonville by Conservation Commissioner, James H. Welsh. But Crosstex got no order to stop putting butane in their cavern. They only got told to shut their endangered pipeline near the sinkhole. 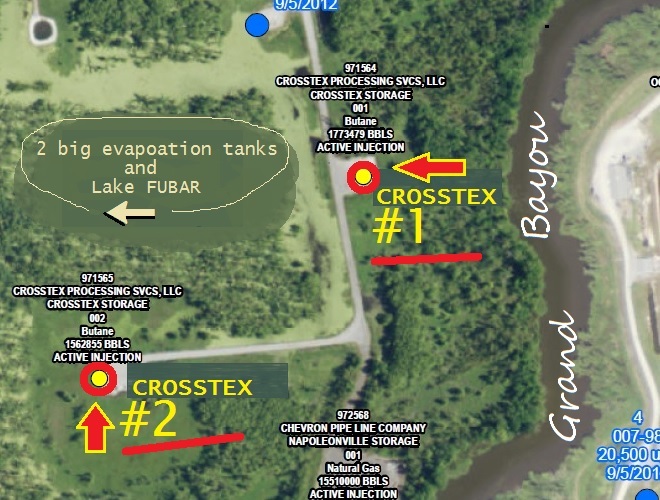 On Aug. 9, 2012 Texas Brine was ordered to give Conservation DAILY reports on Oxy 3. Texas Brine isn’t off the hook because of the passage of time. On Nov. 19, 2014 the state gave a 12th Emergency Declaration saying the emergency is still on and Texas Brine better hop to and adhere to the Blue Ribbon’s outline for action. This week (7-16) Texas Brine says they are doing daily checks(!) at Lake FUBAR. Oh, yeah? Then they must know all about the monitors showing earthquakes and mayhem on the increase. 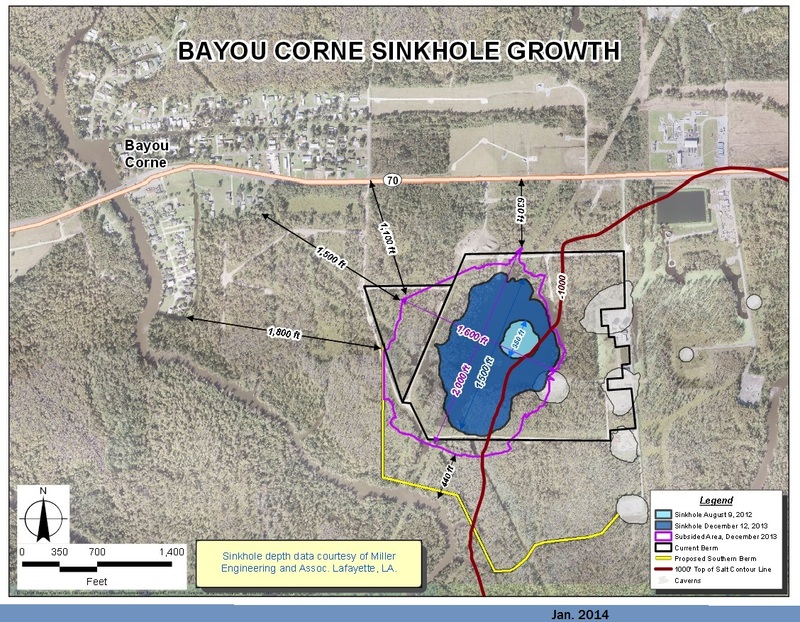 On page 2 of their report they claim “Sinkhole Activity – GREEN“ <????? On 7-15 it was YELLOW <????? Back in 2014 they were using Code 1, Code 2 etc., not colors. They switched to this color code thing on their reports on June 15. But who knows what the colors mean? No press release about it. DNR hasn’t listed a daily report to Conservation from Texas Brine since 2014. Page 2 of the Sept. 14 Emergency Declaration, Third Amendment says Texas Brine has to provide DAILY reports. Is DNR lazy? Is Texas Brine defying Conservation? Will we ever know? Additionally, DNR hasn’t posted an Inspection Report from Texas Brine since Jan. 2014. Ditto for subsidence info. And DNR hasn’t put out any site photos or maps in over a year(!) 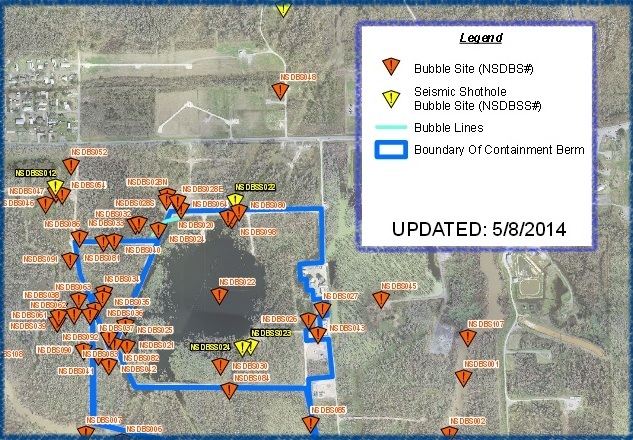 – even though the last bubble site map (5-14) showed Bayou Corne looking like a bottle of champagne! 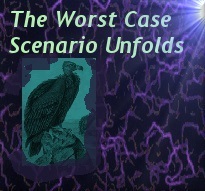 Code Levels are 1-3, with Code 1 being the lowest level of alert. 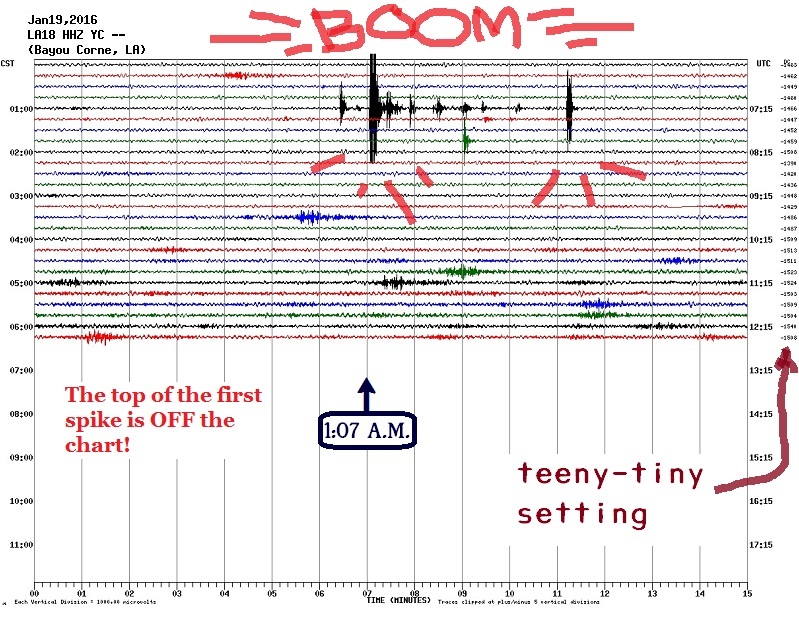 Code 1: Minimal to no seismic activity around/below sinkhole; 10 or fewer of the sharp seismic signals associated with rock movement, called mini-earthquakes (MEQs) or the longer signals associated with gas or liquid movement, called Very Long Periods (VLPs) within 24-hour period; allows work on sinkhole and inside berm area to continue. Code 2: Restricts work directly on the sinkhole, indicates some increased seismic activity around/below sinkhole but not at a level that indicates imminent threat of sloughing or movement below sinkhole (10 to 50 MEQs or VLPs in 24 hours). Code 3: Restricts all work inside the containment berm, indicates seismic activity has elevated to a point similar to what has been seen in past monitoring prior to a sloughing on the shore or movement beneath sinkhole (More than 50 MEQs or VLPs in 24 hours). This could be added to the post below “Night and Day . . . “ but these booms today are extra big. It is even more dramatic when you realize LA18’s helicorder is set on tiny settings.